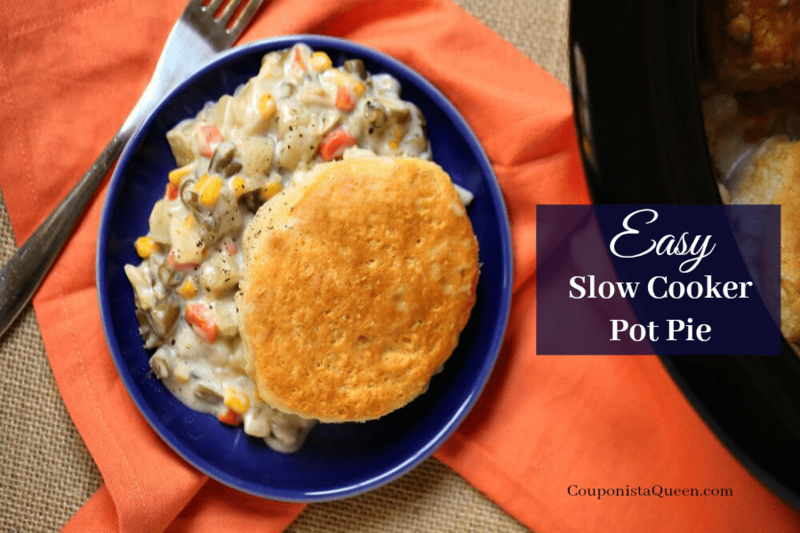 Nothing says comfort food like a delicious and warm pot pie. 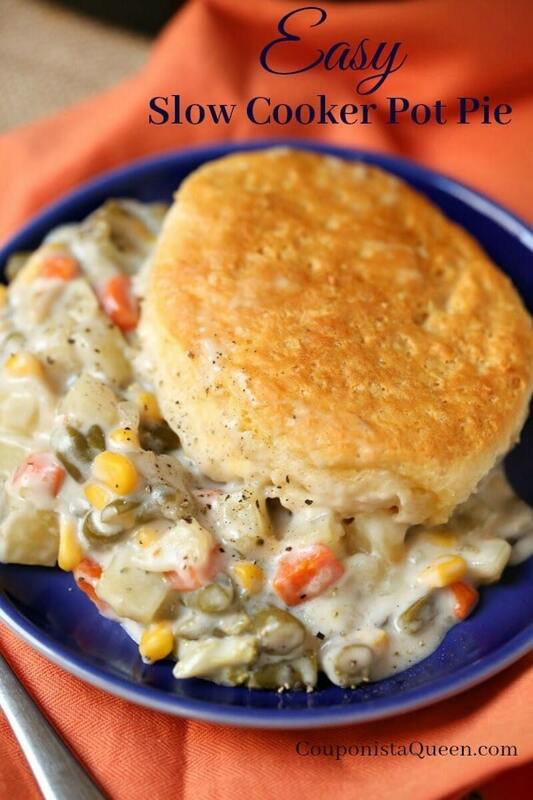 Try this yummy-in-your-tummy version filled with fresh veggies, made easy in the slow cooker with biscuits on top. For a non-vegetarian option, add in 1 to 2 cups of cut chicken, turkey, or browned hamburger. Perfect to use the leftover Thanksgiving turkey or leftovers from a roasted chicken. In a slow cooker, add the soup plus milk and seasonings, and stir to mix well. Add the vegetables and meat (if using), and to make sure everything is well coated. Cook on high in the slow cooker 2 hours, or low for 4-6. 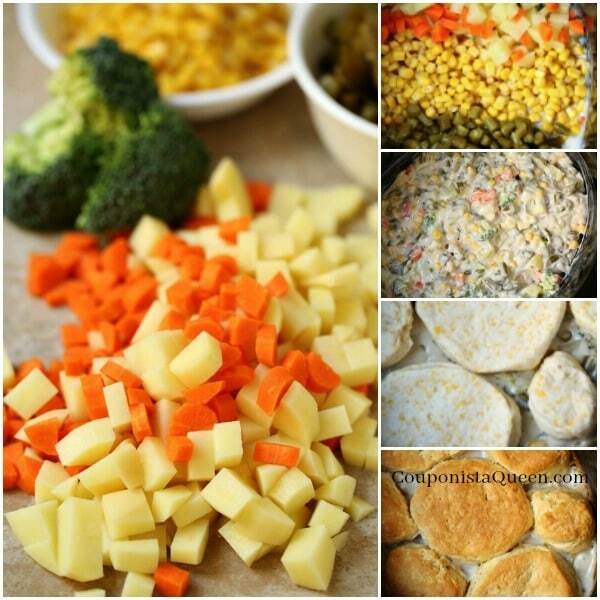 Check the tenderness of the veggies for your preference and adjust the time accordingly. Cover with biscuits, and cook an additional 30 minutes on high till biscuits rise. If your slow cooker is oven proof, finishing in a 400 degree oven for 15 minutes or so instead will brown the biscuits nicely.